An oscillator circuit can be modeled as shown in Figure 1 as the combination of an amplifier with gain A (jω) and a feedback network (jω), having frequency-dependent open-loop gain H (jω) = ßA. The general expression for closed-loop gain is which states that the system will oscillate, provided ßA = 1. At the frequency of oscillation, the total phase shift around the loop must be 360 degrees, and the magnitude of the closed loop gain must be unity. A common emitter circuit provides 180 degree phase shift. If the circuit is used with feedback from collector to base, the feedback circuit must provide additional 180 degree phase shift. 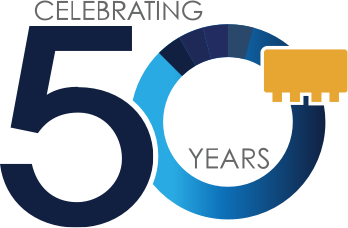 If a common base circuit is used, there is no phase shift between the emitter and collector signals, and the feedback circuit must provide either 0 degree or full 360 degree phase shift. 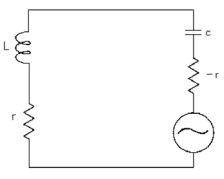 A bipolar transistor with capacitances between the base and emitter, and the emitter and ground, can be used to generate a negative resistance. Examples of these circuits are shown in Figure 3. An inductive resonator may be used in any parallel resonant oscillator circuit. The signal is generated at the frequency where the inductor resonates with the load capacitance. 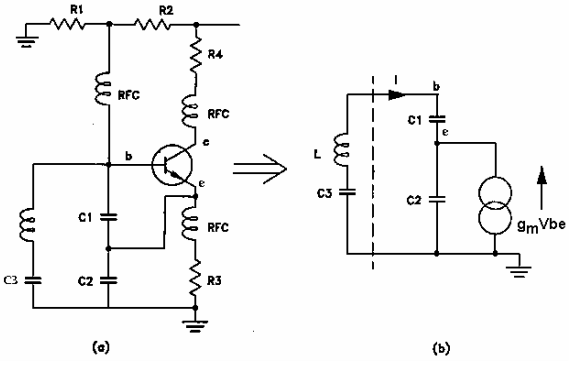 The circuits of Figure 3 are preferred for high stability oscillator circuits because of the ease with which the resonator may be isolated from the load, which is in the collector circuit. 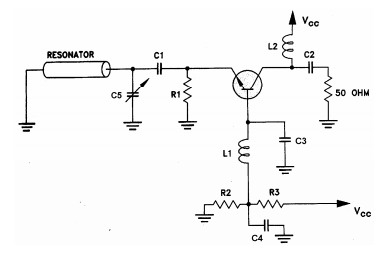 In a VCO the variable capacitor is implemented using a varactor diode. The Clapp circuit has the advantage of better constancy of feedback because the ratio of C1 to C2 does not vary over the tuning range. Consider the more detailed schematic diagram in Figure 4a, and the equivalent circuit of its resonator in Figure 4b that is used to derive the design equations below. The ratio C1/C2 is selected to be greater than 1 so that the circuit has sufficient loop gain for start-up condition at the lowest operating temperature. A VCO is implemented by replacing a fixed capacitor such as C3 with a varactor. 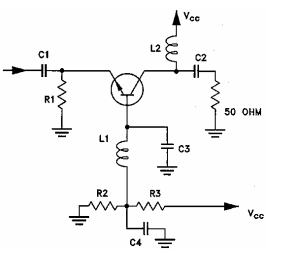 In another circuit that can generate a negative resistance, Figure 5 shows a bipolar transistor with an inductive reactance between the base and the ground. This common-base topology is preferred at higher frequencies. Adding an inductive resonator and a variable capacitor to form a tank circuit as shown in Figure 6 completes the oscillator. There are two basic types of varactors: abrupt and hyperabrupt. The abrupt tuning diodes have very high Q and will operate over a very wide tuning voltage range (0V to 60V). The abrupt tuning diode provides the best phase noise performance because of its high quality factor. Hyperabrupt tuning diodes, having capacitance inversely proportional to the square of the voltage, will provide a much more linear tuning characteristic than the abrupt diodes. These are the best choice for wide band tuning VCOs. An octave frequency range can be covered with less than 20V tuning voltage range. Their disadvantage is that they have a much lower Q and therefore provide a phase noise characteristic higher than that provided by the abrupt diodes. If Vo is modulated by a small voltage ΔV, the carrier will be deviated by a small frequency difference Δω . The units of K1 are radian/second/volt. For tuning sensitivity in Hz/volt, divide the right side of the equation by 2π.